Congenital aniridia is a hereditary disease most commonly with autosomal dominant inheritance. 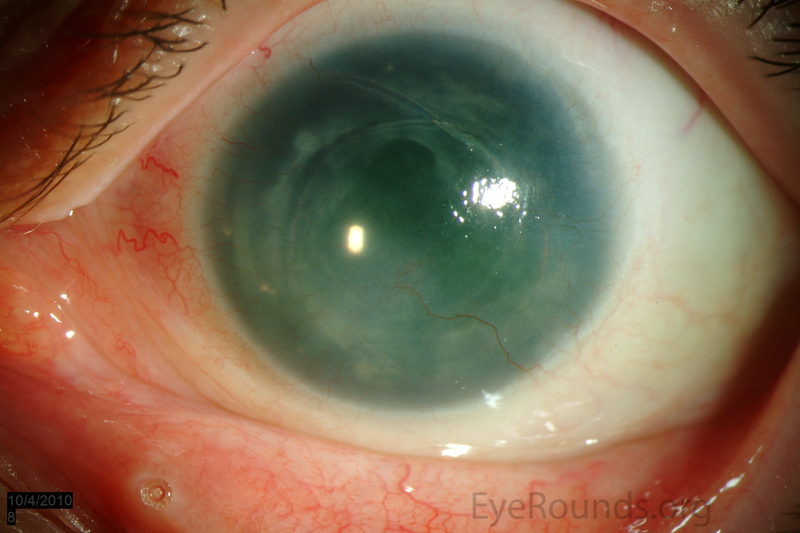 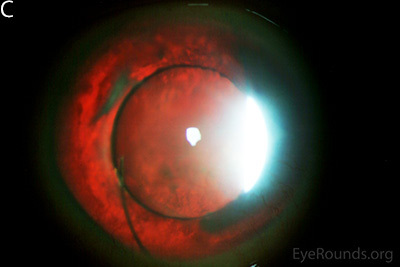 These slit lamp photographs show iris hypoplasia and corneal scarring in a patient with congenital aniridia. 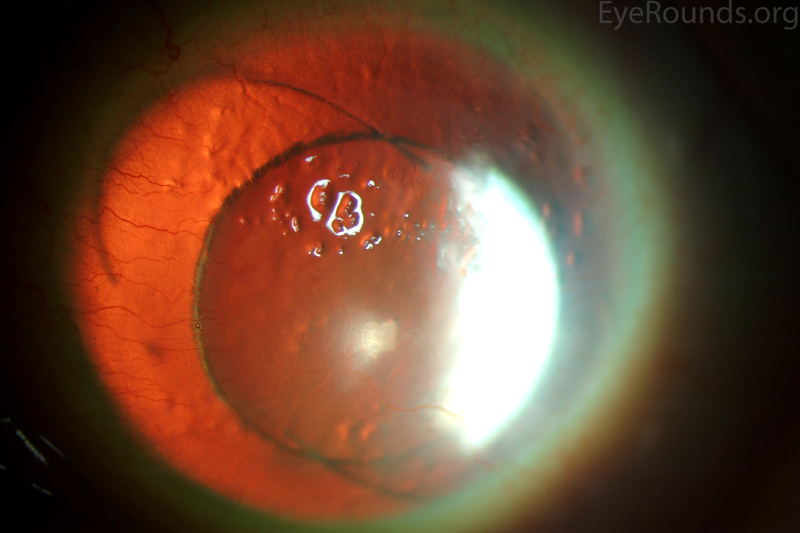 This patient underwent cataract surgery and has 3-piece posterior chamber intraocular lenses in both eyes which are easily visible with retroillumination. 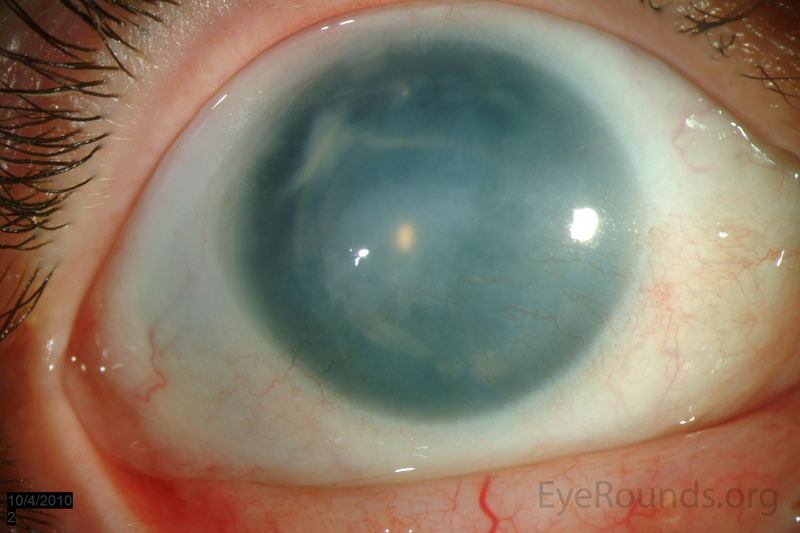 Read the related case report for more information on congenital aniridia. Figure 4: This patient with congenital aniridia has 3-piece posterior chamber intraocular lenses in both eyes (A, B). They are seen on retroillumination (C, D).